Beyonce and Jay-Z have been in town, chilling at the St Regis in the Presidential Suite. Definitely a Burner friendly hotel, for those who can afford it – $30,000 per night for J, B, and their child who was born with a Burner name: Blue Ivy. Is this all a prelude to the mighty trinity making a pilgrimage into Black Rock this year? 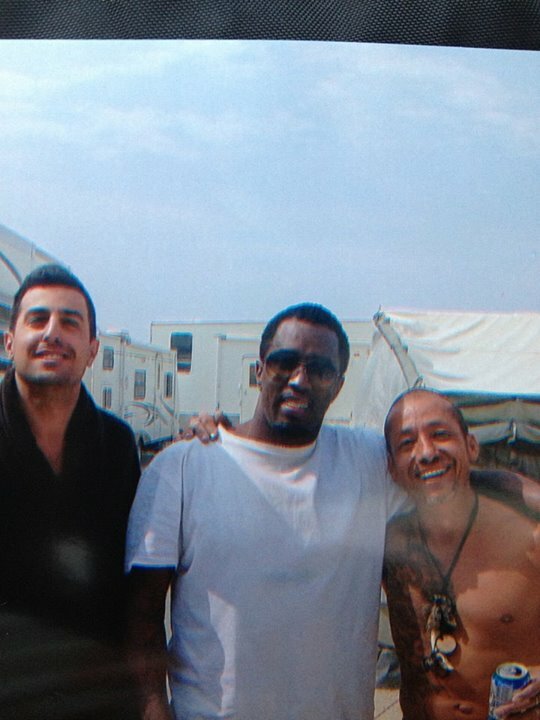 It would be happening in the footsteps of trendsetter P.Diddy’s playa storming visit last year, and Apple’s $3.2 billion acquisition of Dr Dre (alleged secret mastermind behind Burning Man) and Jimmy Iovine and their Beats. They will be competing against Google’s Burner founders, who want more Temporary Autonomous Zones like Burning Man, and paid $3.2 billion for a Nest. Bring on more hiphop at Burning Man, says Burners.Me. Kanye, though, doesn’t seem to have gone over quite so well with the discerning San Francisco crowd. There was a mellow beginning and a repeatedly “Bloody” end to the first day of the lucky seventh edition of Outside Lands, the festival so beloved by San Francisco’s Golden Gate Park that organizers Another Planet have a contract to host it there until at least 2021. Don’t worry, though, it wasn’t real blood — just an attempt by Kanye West to extract some from the crowd by playing his current favorite song by himself over and over. 8:17 PM: As the sun completely makes way for a beautiful moon, this year’s main advancement in flower crown technology reveals itself: Some of these suckers light up now. 8:36 PM: Kanye West cuts off his “Clique” in order to address members of the press who he says look for something negative to write about him, “instead of embracing the moment, embracing the time, the era, the season that they’re living in — called Yeezy season.” Yeezon. 9:00 PM: As we’re all toasting to the scumbags and assholes on “Runaway,” a man in a wheelchair briefly stands up, grinning widely. 9:50 PM:“Blood On The Leaves” is back again to close the show, along with renewed orders to make more mosh pit circles. Kanye adores when the beat drops on this track so much that he pulls it back to release it for the third and final time, leaving the stage in foggy silence. He’ll be a tough act to follow tomorrow, but plenty of artists are ready to go for it. Satan – Why Be a King, When You Can Be a God?